I went kiting at Largs for the first time on Sunday arvo, the wind was SE and it wasnt a solid wind. Once I got out about 50 meters there was plenty of wind so stayed out a bit and had a good kite for about 40 mins, then the wind died completely and I had to self rescue and ride the kite back to sure....slowly. There was another kite out about the same distance as me who looked to be in some strife, by the time i got back to sure, i could still see the kite heading toward the Western tip of the Northern rock wall, so he was a hell of a long way out and the kite was not coming off the water, so not sure what was going on. no idea what happened after that. does anyone know who it was, and wheather he ended up ok. I felt a bit hopeless and just hoped he was ok.
all turned out good....kiter in question did the right thing and sacrificed his gear for a small swim with his board and kite was later retrieved from near the wall, all emergency crew left happy that he was okay!! this shouldn't happen in the first place..
Watch the wind and you shouldn't ever have to do a self rescue or "sacrifice" your gear. Oh sorry you said IN a pickle, my mistake. noice lookin like your half way through your "pickle" Dave!! hope it wasn't a sou easter!! 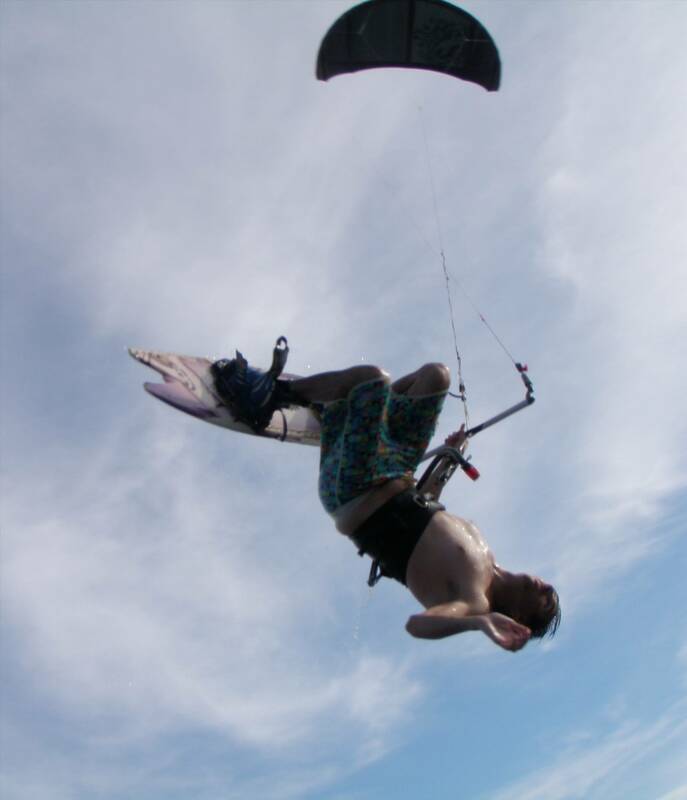 Nah that's not me, luckily I started kiting about 6 months after the picklefork was declared a bad idea. Instead I was sold a 180cm twin tip naish barge as a beginner board. It would go great, so long as you never tried to deviate from that one line it would just go faster and faster and faster until you reached crash speed.